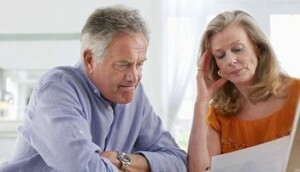 My wife, Suzanne Hall, and I, now in our 60s, often see the financial misery of our friends all around us these days. Unfortunately, it is a subject we often discuss, as we review the financial woes of various friends and co-workers. A friend of ours heading toward 60, who has always had good jobs and made decent income, contemplates bankruptcy. My wife’s friend, who she worked with many years in a transcription agency, now worries that he can’t even make his rent payment. He is in a deep depression as he approaches what should be his golden years. Another 60ish friend, unprepared for the recession of 2008, questions if he will ever be able to retire. Our friends are typical of a large group of Americans: More than one-third of all working-age adults haven’t managed to save any money toward retirement, according to a new survey by Bankrate.com. It found that 26 percent of people 50-to-54-year-olds and 14 percent of those age 65 and older have no savings. Some of these people lost work in the last recession and haven’t been able to get their finances in order. Yes, our economy is gradually recovering from the recession/market meltdown of 2008. However, there are millions of people—-both young and old—-who have been left behind. Many of the problems I see among our friends are more the result of personal finance illiteracy than the lack of employment. The people I mentioned above all had decent—-maybe not great—-jobs in their lifetime and seemed to be in control of their financial lives. They had periods of good income. But they forgot a vital lesson of all human existence: Things change. They don’t go on forever. They end. For instance, about two years ago, I saw my longtime boss and friend, who had made good money for many years, fired. Luckily, he had more than adequate resources to live well for the rest of his life (He and his wife, for example, took it easy and moved to Colombia for about a year. Now he may or may not work, but the choice is up to them. That’s the way to spend the golden years of your life—-you control if you will work or not). He had planned well. He expected his main source of income would end. Actually, getting fired turned out to a good thing for him. He is less stressed and healthier. When your prime earning years end—quite often a little earlier than one expects—that is the time when your savings and investments should take care of you for the rest of your life. In many cases, the answer is no. Many of our friends—-middle class people like us—-are the same people in the Bankrate.com poll. They have little or no savings and investments. They have no concept of how taxes and inflation—-even at low rates— eat away at one’s buying power. Indeed, I often go to a local supermarket chain in Glendale, Queens and have almost always bought the same five or six items for many years. I only buy a few items at a time because I don’t have a car and must walk two miles back home. About five years ago those items almost always totaled some $22. Today they usually come to about $26 or $27, a roughly 19 percent increase. Do I still want to buy the same amounts of soy milk, juice, almond butter, fruit, pasta sauce and cold cuts? O.K., I must shell out some four or five dollars more. If you don’t have more dollars, your standard of living will decline. That is unless you want to start borrowing—-using the overdraft features of your credit card—which, at 20 percent interest or more, is crazy. Assuming you are financially literate, you must pass on these values as soon as possible. Why? The chances are very good that your teenager’s often wretched public school offers little or no financial education. Make sure your teenagers understand that the good life you have provided him or her isn’t an accident. It wasn’t only hard work, it was intelligent saving and investing that achieved it. Get him or her started with saving. The book “The Minimum Wage Millionaire” by Bill Edgar details how young people can begin on the road to financial independence even when they are teenagers making small salaries. Indeed, one of the smartest financial advisors I know is Anthony Ogorek, a certified financial planner (CFP), in Williamsville, New York. His daughters began earning money as teenagers as baby sitters. Some of it went into IRAs he set up for them. They started early. So they might be contributing to their retirement plans for fifty or fifty five years thanks to the wisdom of their padre. Think of the compounding effect that could have (By contrast, I didn’t set up an IRA until I was in my late 20s and will only enjoy the compounding effect for some 40 years). Ogorek’s daughters, assuming only a low investment return, could still have millions of dollars in their 60s. That’s when their padre will be smiling down at them, knowing he gave them important values that helped make their lives a lot better. (I often think the same of my wonderful padres). It is never too late to start saving and investing for financial independence. But the more years you have, the better chance you have to accumulate more and be able to do what my boss did. The reverse is also true. If you are in your 50s and 60s and have accumulated little or nothing in assets, then you need a crash program. You should put all other things on hold and make the maximum contributions to your IRA or 401(k). If you have the latter at work be sure to take maximum advantage of it. Remember, your employer often contributes to the plan, but only if you do. And Uncle Whiskers, that cash hungry fellow in Washington who always wants more and more of your money for his endless entitlements and sickening wars, often will give you a tax break if you will take advantage of it by contributing to your 401(k) or other kind of qualified retirement plan. Do not expect the government to take care of you. And in an advanced welfare state democracy, one in which many people have rejected the saving and investment values of their grandparents because they expect the government will take care of them, that can be dangerous.